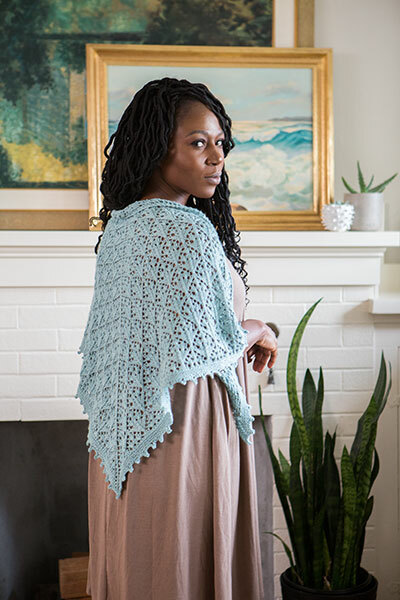 Inspired by the desert landscape, this satisfying shawl features a simple lace mimicking sagebrush, finished with clean garter and dainty picots. 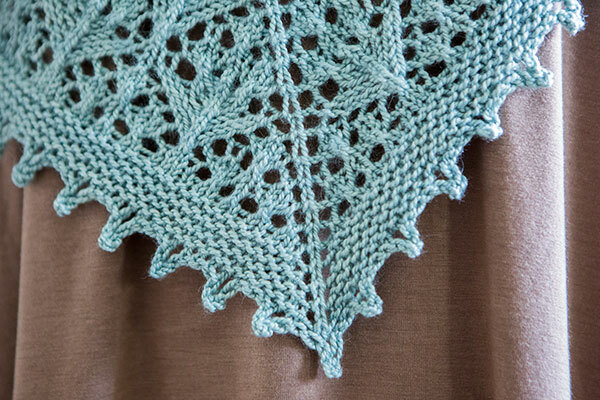 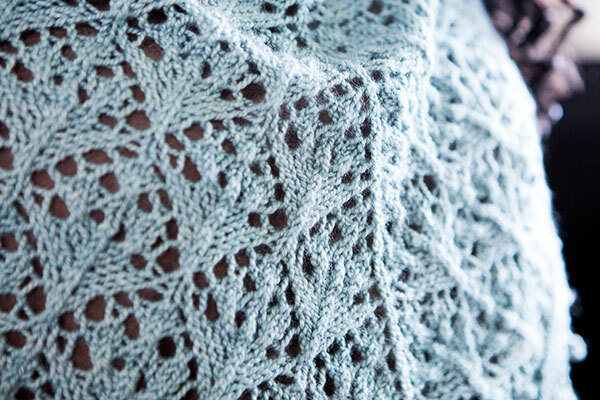 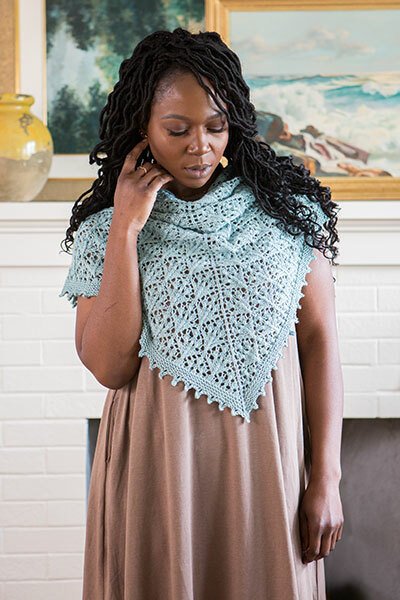 The stitch only looks complex and utilizes just center decreases and yarn overs, making it a great pattern for the beginner knitter who wants to explore lace. 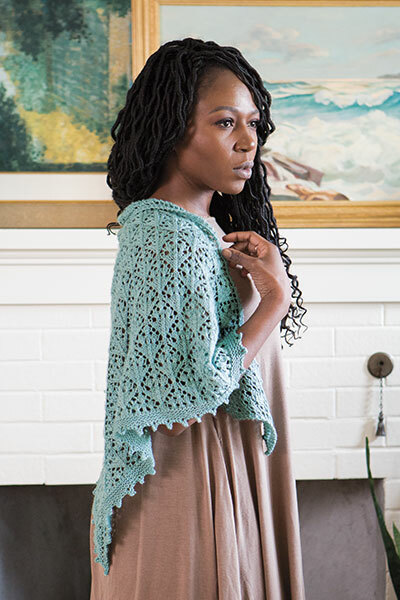 The Sagebrush Shawl is a triangle shawl knit flat from the center top starting with a garter tab.